Is Telephobia Really a Thing? It's no secret that people are talking on the phone less. We're texting, we're emailing, we're Gchatting, we're Facebooking. There have been many articles bemoaning the death of the phone call in recent months, and Nielsen said in a December report that voice calls have dropped by 12 percent since 2009, while text messaging has absolutely blown up. With no dearth of mediums on which to communicate, our attentions are divided. But is it possible that we've developed an actual fear of talking on the phone? Salon's Sarah Hepola argues that this so-called Telephobia is a very real thing. It's just plain scary to talk to other people. We avoid it not because people don't matter—but because they do. And each of us brings emotional baggage to to these interactions. 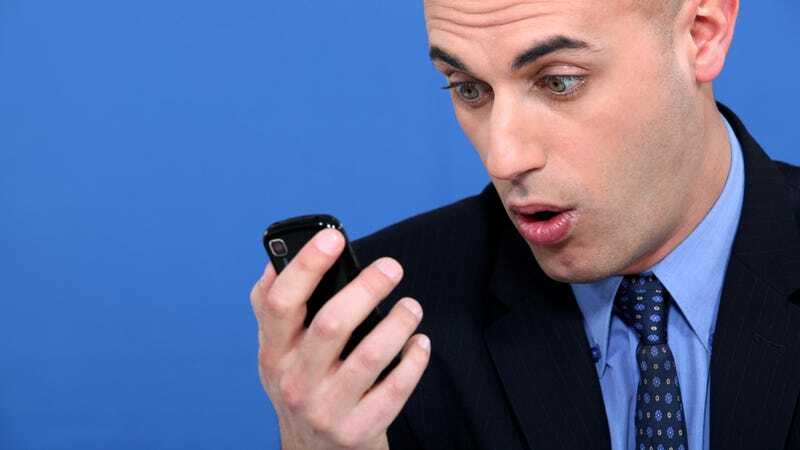 when my phone rings, and I don't recognize that number—forget it. I'm too scarred by the years I spent dodging credit card companies to take that kind of dare. I also don't jump off cliffs, or do cartwheels on the highway. In fact, it's amazing to me that there was a time when the phone rang, and someone just answered it. Who could it be? Could it be the guy who was currently making your heart pound? Oooh, let's pick it up and find out! Now, when I see an unfamiliar number, I feel nothing but outrage. A good portion of that is, in fact, crazy talk. But I'll be the first to admit that I'm a chronic call screener. (Sorry, mom). We are constantly inundated with information about other people. Pictures from their vacations, posts about their ailing grandmothers, rants about their horrible bosses. Sometimes you just want to flip off the noise. Are we over-saturated? Yes. But are we actually so scared of human contact that we can't stomach a phone call? No. And if you are, please seek help immediately, because you might have some serious psychological issues going on. My friends and family are dispersed across the country—Nieces in Atlanta, parents in Dallas, friends in Madison, San Francisco, and Chicago. If I don't talk to these people regularly, I will feel completely cut off from their lives. You can't hear the difference in a friend's voice, raising that red flag that something might be wrong, through a flippant status update. Facebook gives you a false sense of connection. It makes you feel like you know what is going on with someone, when in reality, the social media version is a carefully-crafted, contrived version of their persona. It's fake. But keeping up with someone through regular, real contact? Now that takes actual effort.